The militants violated the ceasefire and shot at Ukrainian positions in Donbas 22 times, one Ukrainian soldier was injured as a result. The Donbas conflict HQ press-office reported. “As a result of the enemy’s fire one Ukrainian defender was wounded. The injured was taken to the hospital and received a medical assistance,” the report says. The militants used 120-mm mortars, which is banned by the Minsk Agreements, in Donetsk sector near Berdiansk. The enemy used 82-mm mortar launchers, heavy machine guns and infantry fighting vehicle near Pesok, various grenade launchers near Lebedynske, Vodyane and Butivka mine, an antitank missile system near Shyrokyne and heavy machine guns near Hnutove, Novotroitske and Opytne. 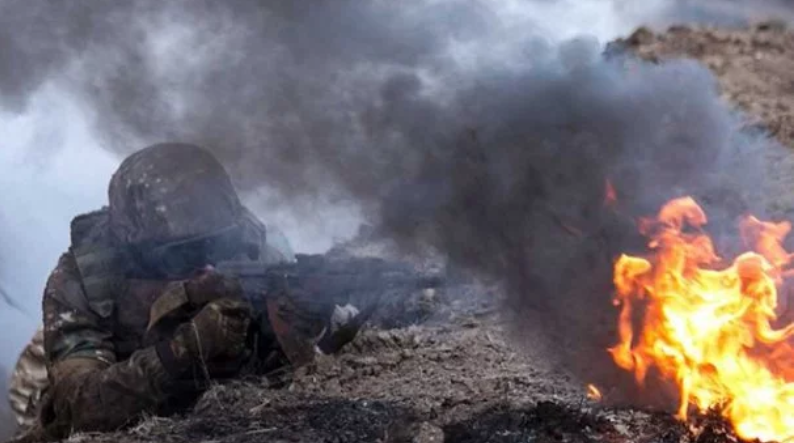 “Besides, the defenders near Avdiivka, Pavlopil, Krasnohorivka and Novotroitske were under the fire from the infantry fighting vehicle, and the enemy’s sniper was shooting at the positions in Vodyane,” the report says. No attacks in Luhansk sector reported.